Gear reducers are used commonly in power transmission and drivetrains. 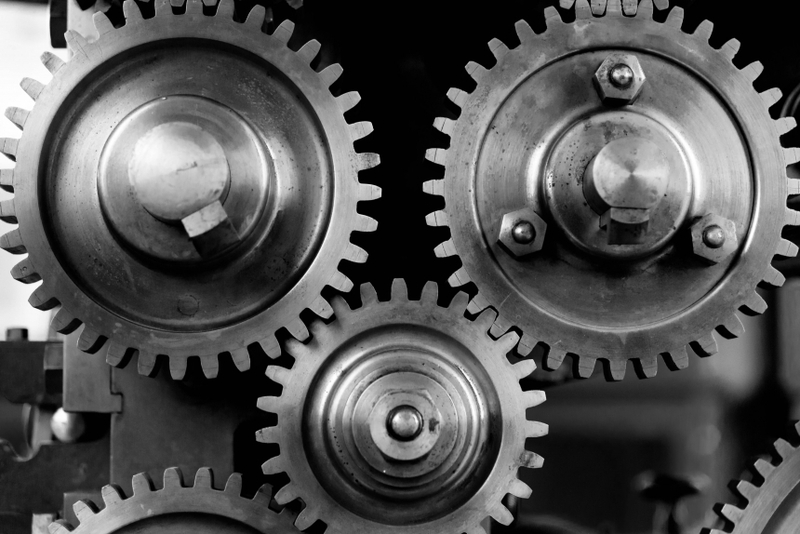 Whether configured as part of a centralized gearbox or housed separately, gear reducers serve, at their core, one simple purpose: to keep different parts of machinery operating in their respective optimal performance ranges. Essentially, gear reducers reduce the input speed (from a combustion, electrical or other mechanically driven engine) to a desired output speed. Automotive gearboxes are a simple illustration of this, though electricity generation, tools, industrial machinery, and much more besides, employ gear reducers. Gear reducers are critical components in power transmission applications, especially where equipment has different optimal operating ranges. Therefore, gear reducers are critical to the operation of the machinery. As conduits of energy transfer, they must also bear and transmit tremendous loads. Gear reducers must therefore be serviced regularly, especially if they are operated at or beyond their normal operating ranges. Operating temperatures – Uneven temperatures cause inefficient operation and spread stresses unevenly on gear reducers. Particularly, if the lubricant is not up to its ideal operating temperature, gear reducers will suffer greater wear and tear on gear reducers. Lubrication - Lubrication is key to the longevity and performance of gear reducers. With tremendous stresses transferred in the rolling and sliding motions, metal to metal contact can cause abrasion; the increased friction will cause heat buildup; and the lubricant can get contaminated and denatured, becoming ineffective. Not just the quantity and quality of the lubricant, its viscosity must be carefully chosen too. Heat scoring – Gear reducers working at extremely high temperatures start to experience heat scoring, a situation when gears start to form bonds in the short space of time when the gears in contact. This increases friction; and will ultimately weaken the gear reducers structurally. Regular servicing schedules and regular replacement of the lubricant is one way in which operators maintain their equipment with gear reducers effectively. Operating gear reducers within their ideal operating range, and running them within their ideal operating window will ensure longevity too. Bauer GMC is committed to providing high quality motor products. And the Bauer brand has been an industry leader in innovation and product development, consistently responding to customer demands in an ever-changing technological environment. Bauer GMC is a trusted retailer of gear reducers. We bring over 85 years of experience and Canada-wide presence, offering full sales, maintenance and repairs on all our products. Our products are used in a plethora of industries, including food & beverage, material handling and automotive.